Having problems getting students to fill in the formula properly? 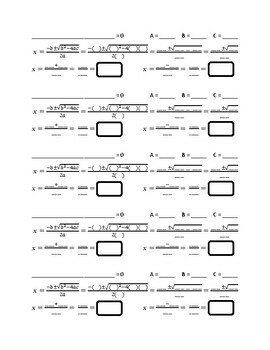 This version of the worksheet also contains the formula to assist the students with filling in the proper number to the proper spot. Then the students start simplifying in small steps to the answer.